Types Of Shave Brushes: Which One Is For You? What Does A Shave Brush Do That Your Hands Can’t? What’s The Mechanics Mentioned In The Types of Shave Brushes? All This Talk About the Brush – But What About A Badger Brush Handle? Shave brushes have been around for years. In fact, they have been around since about the 1750s – and they are still to this day, an essential piece to any mans wet shaving kit. 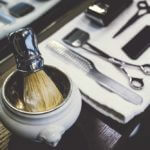 So why are they so critical to the shave routine – and even more importantly, what are the different types of shave brushes available for men to choose from? There are some really critical points that a shave brush has its advantages over simply using your hand. 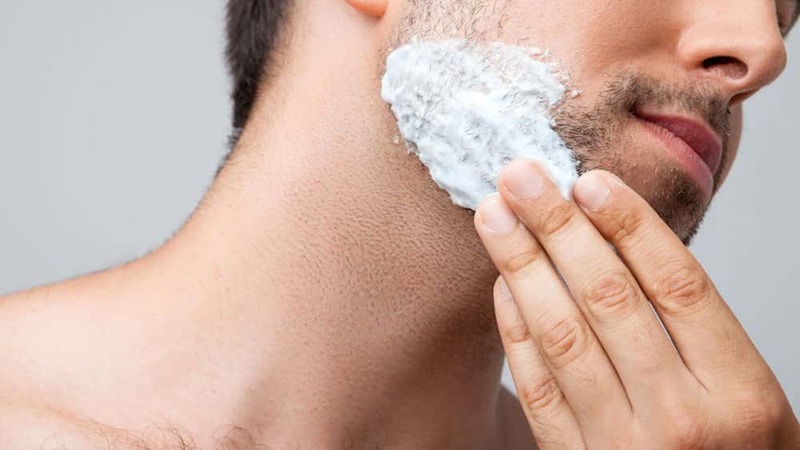 When you are applying a shaving cream with your hand – whether its out of a can thats filled with harsh chemicals or a high end shave cream like Taylor of Old Bond Street, the results are going to be near identical for your face hairs. You see, when you apply shaving cream with your hands, you will be both raising your face hairs as well as matting down others – bottom line is that its not consistent. When you run a razor over your face, it will be cutting varying lengths of hairs. 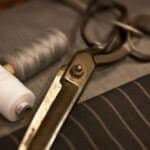 Therefore you will need to press a bit more firmer to make sure that you cut off the hairs that have been matted down with your hands. 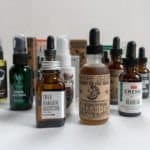 When you press harder on the razor to cut the hairs, you are going to be getting a much more uncomfortable shave and increase your chances of developing nasty skin irritation (i.e. razor burn). This is where shave brushes really shine – especially when compared to applying your shaving cream with your hands. You see shave brushes give you some awesome pre shave benefits. First off, the brushes, typically made of badger hair, do a terrific job of trapping in the moisture and retaining heat. Therefore when you take your high quality shaving soap from your scuttle (a small bowl), the lather when applied to your face will be in a much richer consistency when compared to the texture that you will be getting from your hands. When you apply the shaving cream to your face, your shave brush will actually work well in lifting up and softening many of the hairs on your face. From what we learned when you apply with your hands, where it becomes matted down in some areas, shave brushes will do just the opposite. This means that when you shave, you won’t have to press firmly down to cut the hairs. With the rich lather softening the hairs on your face, this will make it much easier for your blade to cut through the hair as well. When its easier to cut through the hair, it will lead to less passes on your skin – and ultimately less skin irritation. In addition to helping raise and soften the hairs on your face, shave brushes in general are a great way to give a light exfoliation to the skin (especially the coarser grade hairs) – therefore cleaning out some of the dirt and grime that might have been built up, or left behind from after taking a shower. Granted, when you do shave, this does act as more of a heavy exfoliation, but using a shaving brush acts as a great gentle first step. When researching badger brushes you will see a couple of items that are referenced – knot, loft, and shape. The loft is the length of the hair follicle on the brush from the handle to the tip. Generally speaking, a longer loft will give you a much wider distribution area of shaving cream when applied to your face. Shorter lofts will give you much more control. Personally I it doesn’t matter to me regarding loft length since I also shave my head. However, men with hair on their head may opt for the short loft shaving brushes as you won’t accidentally get any shaving cream up your sideburns when applying in the morning. The other key metric for shaving brushes is the knot. The knot is the brush size (average is around 22 millimeters). The amount of hair that is packed into a knot can vary quite a bit depending on the manufacturing process – for the most part, brushes that are mass produced may not be as tightly packed as say a brush that was hand made. The shaving brush shape can come in a few different varieties as well. By and far the most popular ones you will see will be of the bulb variety followed by fan shape (this is where all the bristles are the same length), and lastly a flattop (not all that common within the wet shaving world). There are all different types of shaving brushes available for people to pick from. From boars, horse, synthetic, and badger hair. The gold standard for beginning and seasoned wet shavers is definitely going to be the badger hair shave brushes. They tend to do a great job at both the exfoliation process, as well as doing a great job in trapping in the moisture and soap when dipped into your scuttle. Pure badger hair shaving brushes will be the cheapest types that you can get. Generally speaking, pure badger hair will stick into the $15 to $30 range. Of course there will be outliers from this range as they may have nicer handles which can really inflate the price of the shaving brush. Pure badger hair is the most popular of the grades due to its price point. 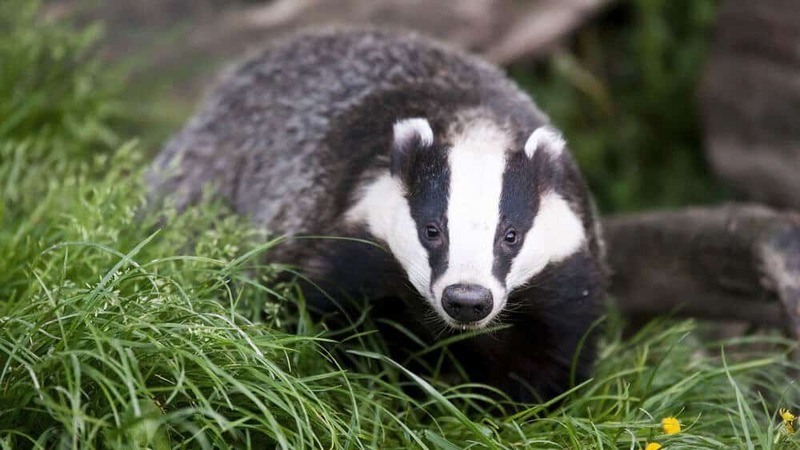 This is because pure badger hair is the most common hair found on a badgers body (i.e. its the greatest badger hair in supply for shaving brush manufacturers). However, being that this is the entry badger hair for a brush – you typically will be seeing hairs on these brushes much more course that their higher end counterparts. This can be a good thing for those looking to depend on their shave brush for better exfoliation during the lathering process. If its your first ever badger hair brush, or your experimenting with the whole wet shaving venture – this might be a great entry level brush for you. The next step up from the pure badger hair brushes will the best badger hair brush. Best badger brush, typically looking a bit darker in color when compared to a pure badger hair brush, is sourced from the stomach hairs of the badger. Unlike the pure badger brush grade, best badger brushes will feel much more softer. The depth of exfoliation that you get from this type of brush won’t be nearly as heavy the best grade, nor will it be as light as the super or silvertip grades – therefore this grade of badger hair is preferred by most men as it strikes a great balance between both ends of the spectrum. In addition to providing a well balanced exfoliation process, the best badger hair grade does trap in a might higher higher volume of moisture when compared to the lesser pure grade. This higher lever of moisture that can be trapped translate to a much richer lather when applying the shaving soap to your face. Generally speaking, the price for a best badger hair shaving brush will be somewhere in the neighborhood of $20 – $50 – again price can vary outside of this range depending on the handle quality. Sourced from the back of a badger, super badger hair will be much more finer gauge than the two grades previous (pure and best). Super badger hair will feel significantly softer than the previous grades as well. 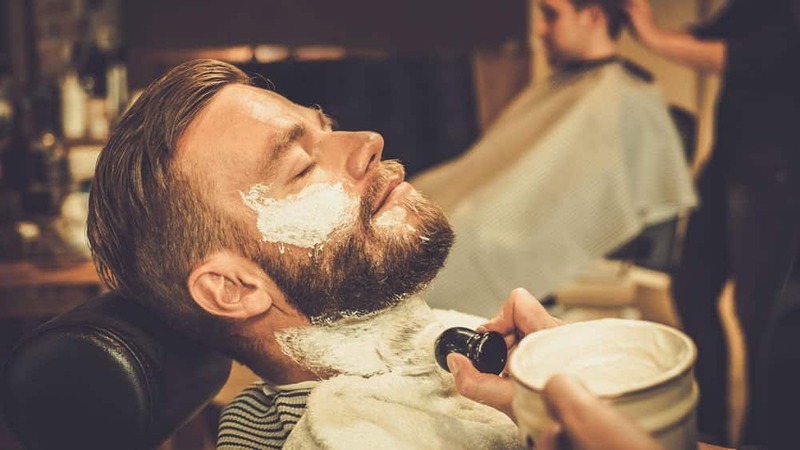 As may have been inferred from the previous grade, super badger hair will hold significantly more moisture – which translate directly to a much richer lather of the shaving cream. Therefore when using a brush like a super badger hair, you want to make sure you use an equally premium shaving soap to realize the full advantages of this brush. While having such a fine gauge, super badger hair brushes will not exfoliate the skin nearly as well as the lesser grades. While this might be completely fine for most men, this is worth noting (razors by themselves do an incredible job exfoliating). You see with such a fine grade of the shaving brush, you want to make sure that you handle super badger brushes with care. Therefore a shaving stand is an absolute must when using this type of brush. You can usually pick up stands for a relatively cheap price online. Lastly, regarding price for a super badger price, they are expensive! Super badger brushes will usually range around $50. The top shelf of badger hair brushes is the silvertip grade. Sourced from the neck hair of the badger, this will be the finest badger hair brush that money can buy. With the finest gauge of all the brushes, you will be able to pick up the maximum amount of moisture when lathering on the shaving soap to your face. This means that with the richest lather, you will have your hairs standing up straight and absorbed with ample amount of shaving cream. As mentioned previously, when having a lot of moisture on your hairs, it will soften up the follicle – therefore making it much easier for the razor to effortlessly cut through the hair. With such a rich lather and the right shaving cream and blades, you will have little to no skin irritation when shaving. Just like the super badger hair, with silvertip hairs being so fine, you won’t have much exfoliation benefits. In addition, you will want to make sure you handle silvertip hairs with delicate care. With fine hairs, you don’t want them damaged, bent, etc. When the hairs become damaged it will degrade the overall performance of the brush and lather, and ultimately have an impact the shave – therefore a shave stand is critical with these brushes. These are the gold standard when it comes to shaving brushes, the price for these types of brushes demonstrates that as well. Silvertip brushes are typically the most expensive ranging anywhere from $50 to $100. Handles are made from a variety of materials – from wood to synthetic and even turtle shell. Shaving brushes prices can skyrocket depending on the type of material that is being used for a handle. Therefore, if its your first ever shaving brush, a handle made out of synthetic material will be adequate as it has no impact on the ultimate have. 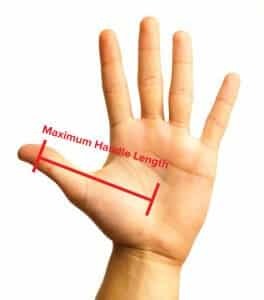 With that being said though – handle height is a large personal preference. If you have larger hands, you will want to get a shaving brush that is a bit lengthier. This way you won’t be fumbling over the brush if its too small. A good rule to follow is to find a handle that is no longer than the tip of your thumb to the palm of your hand. As figured, there are a ton of different types of shave brushes in the market and the price can vary wildly. Therefore if its your first ever shave brush and you are on a budget, I would recommend checking out a best badger hair brush. Not only does it give you a great exfoliation when applying the shaving cream (make sure you use a high quality one), it does a terrific job of trapping the moisture that will ultimately soften up the hairs on your face. This will ensure that the razor can cut through your hairs effortlessly making sure that you have an extremely comfortable shave. Although it may go without saying, if you are investing in a shave brush, you want to make sure you are using the proper equipment. Therefore a high quality shave cream doesn’t come in a can – a good beginner one is Taylor of Old Bond Street. In addition, if you are using a cartridge based razor – stop. Instead you would want to invest in a double edge safety razor. You will get just as close of a shave for a fraction of the price. With the right razor, shaving cream, and shaving brush you will be on your way to a great morning shave!